The U.S. Department of Energy (DOE) today announced its decision to renew the Joint Center for Energy Storage Research (JCESR), a DOE Energy Innovation Hub led by Argonne National Laboratory and focused on advancing battery science and technology. The announcement was made by DOE Under Secretary for Science Paul Dabbar at the InnovationXLab Energy Storage Summit held at DOE's SLAC National Accelerator Laboratory. "Advances in energy storage will drive U.S. prosperity and security," said Argonne Director Paul Kearns. "By enabling partners across the national labs, academia and industry to forge collaborations and leverage one-of-kind scientific tools, JCESR will continue taking on profound scientific and technological challenges and fueling the innovation that will secure our energy future." "JCESR's first five years have yielded important science breakthroughs, helped launch three startups — Blue Current, Sepion and Form Energy — and produced more than 380 published scientific papers," said JCESR Director George Crabtree. "The knowledge we've gained has introduced new approaches to battery R&D and will guide our research in transformative materials for next generation batteries for many years in the future." In the next five years, JCESR's vision is to create disruptive new materials deliberately constructed from the bottom up, where each atom or molecule has a prescribed role in producing targeted overall materials behavior. What is needed, according to Crabtree, is a range of designer batteries, each tailored to the requirements of its host application. At the same time, each of these designer batteries must perform multiple, often competing tasks such as frequent cycling and long life, high energy density and slow self-discharge, or fast charging with little or no safety risk. The mission of the renewed JCESR is to create the science to, in the words of Crabtree, "lay the foundation for a diversity of next-generation batteries for a diversity of uses." The Joint Center for Energy Storage Research (JCESR), a DOE Energy Innovation Hub, is a major partnership that integrates researchers from many disciplines to overcome critical scientific and technical barriers and create new breakthrough energy storage technology. 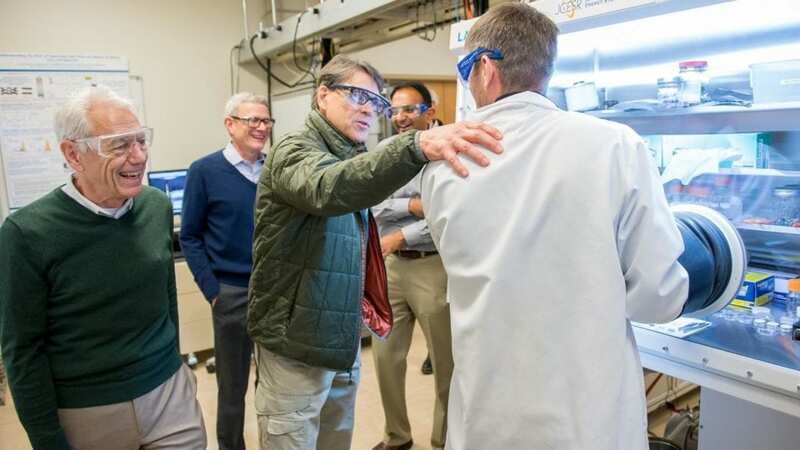 Led by the U.S. Department of Energy's Argonne National Laboratory, partners include national leaders in science and engineering from academia, the private sector and national laboratories. Their combined expertise spans the full range of the technology-development pipeline from basic research to prototype development to product engineering to market delivery.